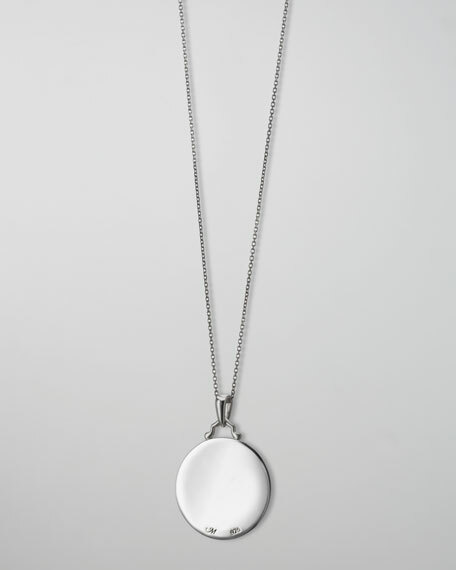 Celebrate the arrival of a new baby with this Monica Rich Kosann pendant necklace, crafted in sterling silver polished to a brilliant shine and detailed with bright white sapphires. 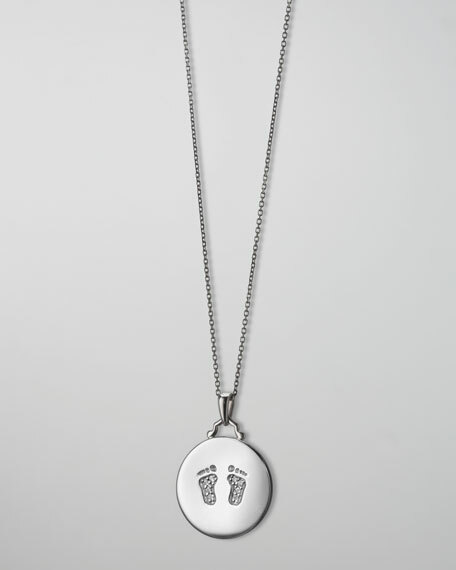 Round charm with pave white sapphire set in baby feet imprint on front; logo-carved back. For in-store inquiries, use sku #265294.